You are here: Home / Blog / News & Events / Event Invitation – Singapore Year End Traders Party! 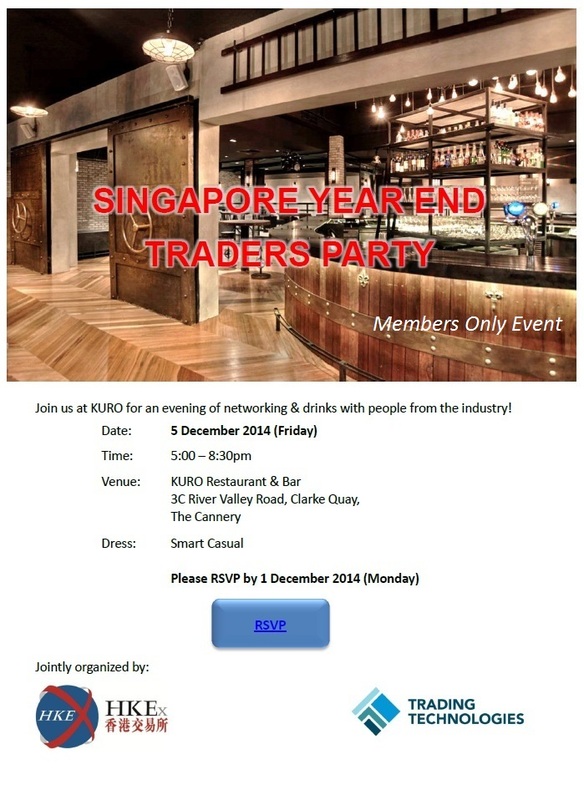 I received an invitation to this year end traders party jointly organized by HKEx & Trading Technologies. Look like free food & drinks. 😀 Anyone going for this? http://synapsetrading.com/wp-content/uploads/2014/03/logo-header1.png 0 0 Spencer Li http://synapsetrading.com/wp-content/uploads/2014/03/logo-header1.png Spencer Li2014-12-02 08:45:382014-12-01 01:40:10Event Invitation - Singapore Year End Traders Party! Heading into Reservist for the Next 1.5 Weeks - Top 3 Trades I Will be Looking Out For!